Used for women to carry various daily items during going out, or as a daily decoration. This women shoulder bag can hold cellphone, purse, umbrella, tablet, etc, large size bag can hold magazine. 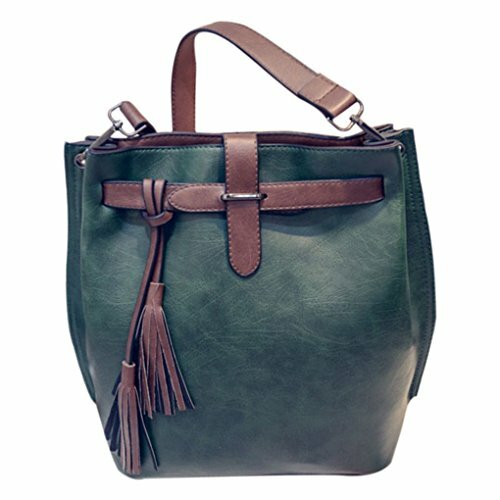 Tassel design with solid color women handbag, showing unique, eye-catching and stylish appearance. Compact and portable, easy to carry during going out. Colors: light brown, grey, green, black, red. Size: 26x31x13cm(large bag), 24x26x13cm(small bag).